Staff List Departments Forms Professional Development Technology Dept. The Parent Center is an on campus resource for parents and families of Carson High School students to promote participation, engagement and involvement. 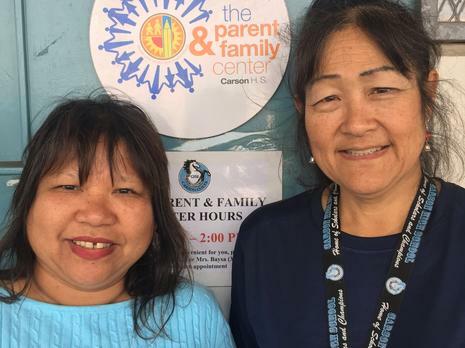 Parents are welcome to visit the Parent Center, which is located in room G3, Monday-Friday between 8:00 am – 12:00 pm to access information from LAUSD to parents, sign up for workshops, classes or activities, meet other parents or to get questions answered pertaining to Carson High School. Please stop by to meet Haydee Malacas-Hart and Pam Baysa who are the Parent Center Representatives of Carson High School. Volunteers Make Good Schools Great!!!! Volunteers are always welcome on campus. There are many opportunities to be part of Carson High School. 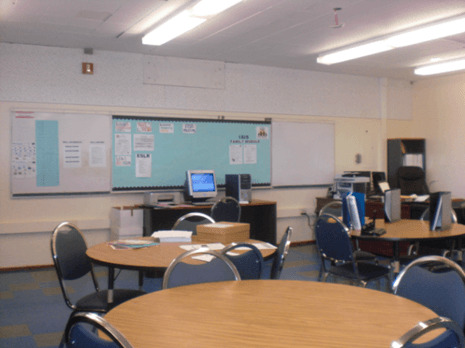 Volunteers are needed to assist in the various offices, bookroom, library, and classrooms. The staff truly appreciates any time you can donate. If you haven’t already filled out a volunteer slip, you can obtain one from the Parent Center. You must be able to show proof of a recent TB test. Please read the following directions explaining how to process school volunteer applications. If a person does not have access to the necessary technology to complete the online volunteer application, the school may designate an employee to assist in completing and submitting the online application on the person’s behalf. Volunteers serving at more than one LAUSD school must have a completed online application, printed and signed, for each school before they can begin service. Once on the registration site, the prospective volunteers will be required to enter their names and valid email accounts. The prospective volunteer will receive email notification to complete the registration process, including the creation of an account password. Once the online volunteer application is completed, it should then be submitted electronically. Both the application and Volunteer Commitment Form should be printed, signed and delivered to the principal or the principal’s designee. A volunteer for a single event that takes place for the duration of one day only does not need to submit an application but must be checked by a school administrator against the California Megan’s Law online database at http://www.meganslaw.ca.gov.